The Doctrine Of Signatures: Categorical Proof We Are Meant To Eat Just Plants? How do we know we are meant to eat mostly (but probably entirely) plant-food? – We have super long intestines reminiscent of herbivores (obligate carnivores have short intestines so that meat can travel through them expediently). – Our short canines are not long enough to bite through the jugular of a live gazelle; our hands, being clawless, are not great on their own (without a knife) to catch and rip open an animal’s body. – We need to heat meat thoroughly so it doesn’t make us ill, unlike carnivores that have stomach acids that destroy harmful bacterias. – We also know that whole, plant-foods do us nothing but good, and that animal foods are not at all optimal for our wellbeing and can make us very unwell. Not enough clues for you? Some plant-foods resemble (either in shape, colour or quality) the part of the human body, or the disease they are beneficial for! This is called the plant’s ‘signature.’ Many scholars believed this to be God/nature letting us know how to use this plant medicinally. This wisdom has been used by ancient civilisations and pretty much every culture had a form of it. There are differing opinions amongst scholars as to where it originated. Some say it originated in ancient Egypt, some say in China. Other scholars say it is universal, as similar doctrines have been observed in classical Greece, ancient Asia, medieval Europe and pre-Columbian America. 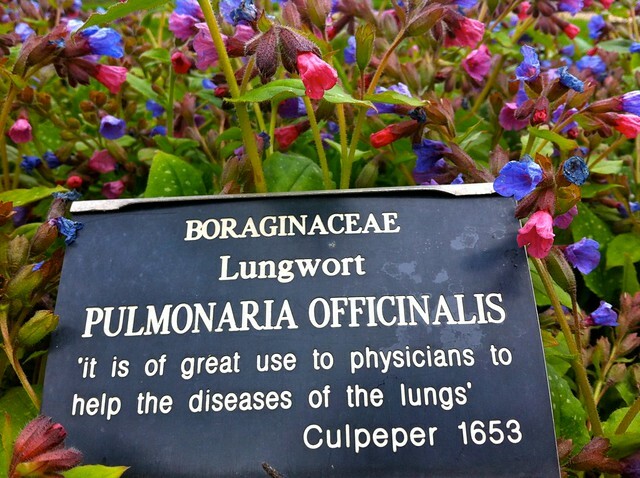 We know Native Americans used it, as did doctors in Roman times. In slightly more recent history, the most well-known advocate of this form of plant power was a Swiss physician who gave himself the Latin name Paracelsus (1493-1541). He famously wrote and published a very comprehensive literary theory on it called the ‘Doctrine of Signatures’. He says ‘Nature marks each growth… according to its curative benefit’ and tells of herbs and their uses based on their ‘signature’ of the body part they resemble. These ‘signatures’ have often through the ages, been used as proof for the existence of God. It purports that the universe is so intricately designed that every piece of it, whether animate or inanimate, is so sophisticated and full of incredible detail, and with so many mutually supportive systems, that it’s not possible that it exists by chance; there must have been a creator behind it. What do I mean by mutually supportive systems? Take the crop system used by many Native Americans in North and South America called the ‘Three Sisters‘. The three sisters are corn, beans and squash. They make up a perfect basis of nutrients. When they are grown together, the beans provide the nitrogen for the soil which benefits the other two plants, the corn provides stalks which the beans can creep up, and the squash provides rambling low leaves that lie on the ground and prevent weeds from growing, thus providing protection for all three crops. There are lots of other mutually supportive models like this in nature, and surely there are lots we are no longer aware of because we’ve simply lost that knowledge due to modern life. Though Sin and Satan have plunged mankinde into an Ocean of Infirmities, yet the Mercy of God, which is over all his workes, maketh Grasse to grow upon the Mountaines and Herbes for the use of men, and hath not only stamped upon them a distinct forme but also hath given them particular Signatures whereby a man may read the use of them. Coles also notes in this book that walnuts were good for treating mental diseases because they had a perfect ‘signature’ of the skull (shell) and brain (nut). As walnuts are high in omega-3 fatty acids, they ARE good for brain health. 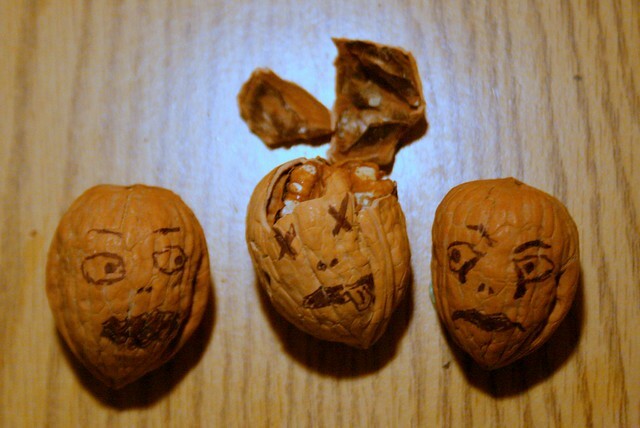 Check out this study proving that walnuts can protect against, and treat, Alzheimer’s. Now, it’s up to you whether you believe this is proof of God’s existence, or whether it’s pure coincidence. And I’m not suggesting we go and medicate ourselves purely according to the Doctrine of Signatures – not because I don’t believe it, but just because we’ve lost so much natural knowledge with the advent of western medicine (not that western medicine is ALL bad, but it has undeniably stopped lots of us from taking responsibility for our own health), and we’ve become so dependent on chemical pharmacology, that it would be difficult to know exactly what we were doing. There is, of course, no financial gain in anyone funding studies proving it to be correct either. We can certainly take lots from it though, and incorporate these incredibly healthy fruits and veg into our diets, and perhaps more of those foods we feel we need for certain parts of our bodies. Thanks for the kind words Graeme! Very nice post. I’ve enjoyed reading it. Thanks Paula. Just looked at your website – wow! What beautiful drawings! I couldn’t agree more! I tell people about this all the time! Good job! Karen, you are a boss! Great info, will share this Appreciate all the work & research you put into it & all your other articles. I need to catch up on them asap! Thanks Ryza! I appreciate you reading!